The bogs are places very dear to all Estonians and have been part of our culture for centuries. Therefore one mustn’t leave Estonia before visiting a bog. The bog-shoe hiking in a bog takes you to places what otherwise would be inaccessible. We hike around the bog pools, admire the wildlife, climb the watch-tower and listen to mysterious stories and legends our tour guides tell about the bogs. Bog-shoe hike is doable all year round and offers different discoveries every season. 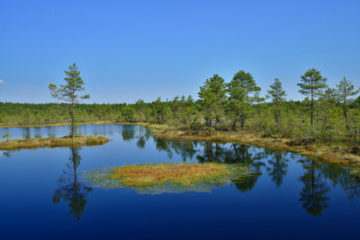 Have an unforgettable adventure in Estonia and come to a bog-shoe hike in the picturesque Kõnnu Suursoo. In wintertime, we organize the same tour as a snow-shoe hiking tour. 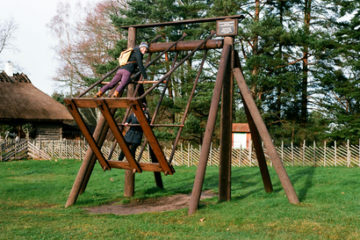 PRICE INCLUDES: pick-up and drop off to your hotel in Tallinn, guided hiking in a bog, bog-shoes. Whether you visit Tallinn by a cruise ship or staying here for longer, your tour guide will pick you up from a place most convenient for you. Get yourself ready and start your half-day tour without any hassle. Leave the bustling city behind and let your local guide drive you to a bog about an hour away from Tallinn. On your way you will see the real face of Estonia with its vast forest and largely untouched nature. 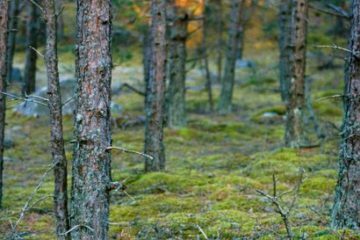 As almost half of Estonia’s population lives in the capital, most of the country is covered with natural habitats as the cities are small and agriculture not extensive. Put your bog shoes on and follow your guide around the clear bog pools and vast open landscape. Learn about the exceptional fauna and flora from carnivorous plants to local orchids and listen to the bird song or try to identify animal tracks. Let your mind rest in the stillness of the nature and breath in the clean air. Once your hike in the bog is finished and your lungs are filled with the clean air, enjoy your drive back to Tallinn. You can choose to be dropped off at the Tallinn cruise terminal or stay in the Old Town for a little while to enjoy the cozy atmosphere or have a lunch in one of Tallinn’s excellent restaurants. Wear waterproof and comfortable boots! Bog-shoeing and husky-sledding: BEST DAY EVER! My boyfriend and I had the best day ever with our wonderful guide, Helen. We were interested in doing some winter activities whilst we were in Estonia and enquired about bog-shoeing and husky-sledding. Prangli Travel suggested that we could do both in the same day in a combo-tour, which is what we ended up doing. It was so much fun! Helen was great and we learned so much about Estonian life – as well as about the bog and the huskies! Would highly recommend – it was the best day of our holiday! Thanks Helen and Prangli Travel. We spent the day with Helen who took us on a beautiful snow shoe hike in the morning which was lots of fun! Me and my girlfriend had never been snow-shoeing before but both thoroughly enjoyed it. In the afternoon she took us to us a local Husky farm and we loved getting to meet all the dogs and give them lots of fuss. We then went on a great husky sleigh ride and also got to meet some of the puppies. We both loved the whole day and had a great time. Helen was an excellent guide and had lots of interesting facts and stories about the area to share with us! We would both highly recommend this to any other travellers. Made a bog hike with Helen. Was a very nice experience for me and my (teen) kids. And also the Secrets of the Soviets tour with Annika was very interesting. We did learn a lot about the history of Estland. I can only say when you visit Tallinn you surely have to go on these kind of trips to see what you normally would not see. I’m sure next time when I am in Estland I will call Prangli team to show me more nice places. If hiking in Estonia is something for you then do it on Prangli island, a place yet to discover.